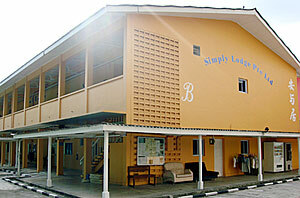 Situated in Towner Road, close to city center, Vinga International Students' Hostel - Simply Lodge is a twin 2-storey building, and is registered with Singapore government as a licensed student hostel. We offers safe and comfortable accommodation services to foreign students in this region. Singapore Vinga International Students' Hostel is built purposely for students, fully furnished and properly managed to cater to the needs of foreign students. We ensure your comfortable stay in Singapore.